Mid-Continent Electric Attitude Indicator. 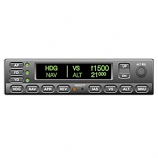 Mid-Continent 4300 Series Electric Attitude Indicator with Standby battery system provides up to one hour of emergency attitude reference in the event of aircraft power failure, a safe alternative to unreliable vacuum systems. This 4300-207 indicator is an exceptional Value – 7,500 hours MTBF, which is more than double the life of most electric gyros. 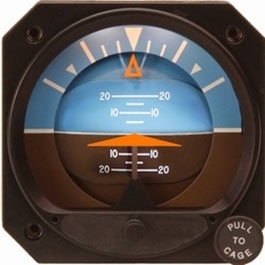 Perfect for use as a primary or standby artificial horizon in fixed-wing aircraft and helicopters. The 10–32 volt DC operation is for use in both 14 and 28 volt aircraft. Anti-reflective glass enhances visibility and reduces fatigue. Approved to FAA TSO-C4c and RTCA/DO-160D certified and qualified to DO-160 for helicopter vibration.